Some of the greatest soccer players in the world have brothers who play soccer too. Sometimes both are extraordinary players, like Bobby and Jack Charlton, Michael and Brian Laudrup, Socrates and Rai or Frank and Ronald de Boer. But it’s a different story involving the brothers of Roberto Baggio, Eric Cantona, Zico, Diego Maradona, Jean-Marie Pfaff, Karl-Heinz Rummenigge and Uwe Seeler. They certainly pulled the short straw. His father named him Eddy after the famous Belgian cyclist Eddy Merckx, but of course he wante to play soccer. Already at a very young age he was considered a big talent, just like his brother Roberto. 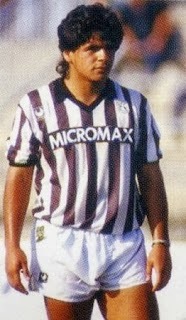 At 16 years old he played in the youth team of Fiorentina. After that, Eddy had a string of mediocre clubteams, trying to get his big break. But all his scoring for clubs like Ancona or Ascoli never was convincing enough for top clubs to contract him. Still, mainly because of his famous last name, clubs like Tottenham Hotspur and Arsenal were mentioned, but they never made an offer. So Eddy Baggio spent his soccer days playing for Catania, Salernitana, Vicenza, Spezia, Pisa, Portogruarosummaga and Sangiovannese. 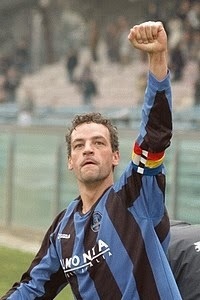 By the way, Dino Baggio isn’t related to Eddy and Roberto. One year older brother: Eric Cantona (45 caps with 20 goals), cult hero at Manchester United. 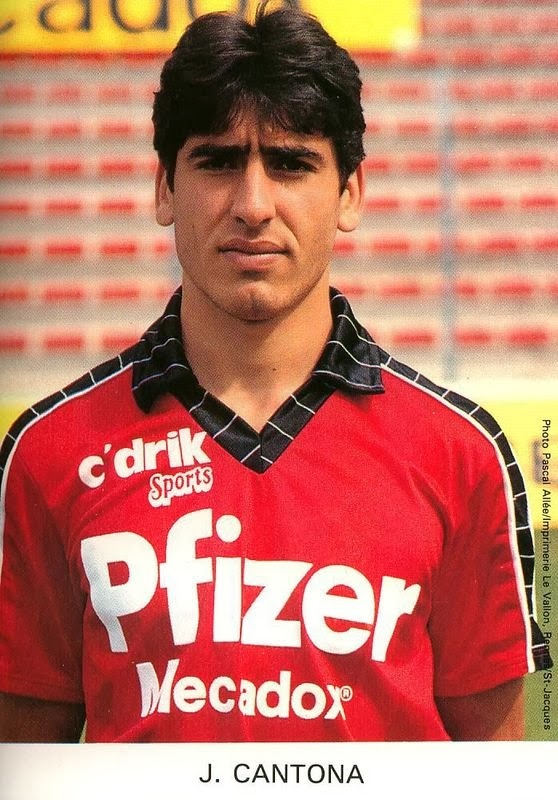 There’s not much to say about the soccer player Joël Cantona. He was a defender and had far less talent than his brother. He also was less controversial than Eric was – but then again, who isn’t? Played most of his career at Olympique Marseille, but was never an automatic choice for the starting eleven. At Stade Rennes and Angers he performed a bit better. Joël also spent one year in Hungary, with Ujpest Dosza. After his professional career, Joël went on to play beach soccer. Together with his brother and some friends from Marseille, they represented France in international beach soccer tournaments. Once in a while, he also likes to act. Joël has played in a few movies, most of the times with Eric. In the movie Astérix et Obélix: Mission Cleopatra and Cleopatra (2002) he played a Roman centurion. Six years younger brother: Artur Antunes Coimbra ‘Zico’ (three World Cups, 88 caps with 66 goals). If Edu didn’t have a brother Zico, he would go down in history as a very talented number 10. Unfortunately, Brazil in those days had Pelé, Roberto Rivelino and Paulo Cesar Lima for that position. Still, Edu collected three caps for Brazil in 1967. For his club America he is still the second best goal scorer of all time. After his playing career, he took up coaching. He even coached the national team of Brazil for three matches in 1984, and top clubs like Vasco da Gama, Botafogo and Fluminense. When Zico played in Japan, Edu took up coaching in the same country. In the last ten years he travels the world (Turkey, Uzbekistan, Russia, Greece, Iraq) as an assistent coach, always with Zico as the head coach. For a little while, Lalo Maradona was a decent soccer player at Boca Juniors. But soon his career went down the hill. A few years later he turned up in Canada, playing indoor soccer. At that level, Lalo was king. Although he’s only Diego’s brother, he lived the life of a celebrity. Olympic athlete Ben Johnson is his friend, and he also coached the soccer playing son of Libyan dictator Mouammar Kadhafi. In 2005, Lalo appeared in the Argentinian version of the television program Big Brother. He also did a very funny commercial for newspaper Clarin in which he played a really terrible soccer player who even gets substituted for a dog. Hugo, nicknamed ‘El Turco’ because of his dark appearance, was a very promising young player until the age of twenty. He tried his luck in different European countries (Italy, Spain, Austria) and finally settled in Japan. 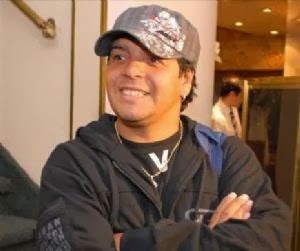 In Asia he had his best seasons, leading both Fukuoka Bolux and Consadole Sapporo to the title of the second division, while scoring lots of goals. Playing in the J-League, that role was too much to ask for. 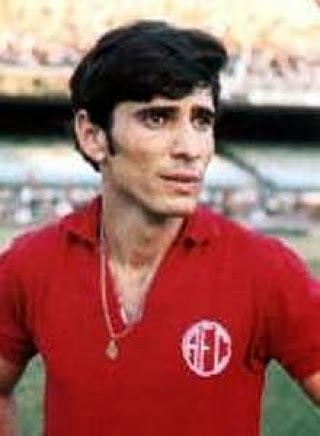 Thirty years old, Hugo ended his career at Almirante Brown, in the second division of his home country. The famous Jean-Marie Pfaff had eleven brothers and sisters, their parents being travelling carpet dealers. No less than three of Jean-Marie’s brothers also played soccer at the highest level in Belgium. The first one was Jean-Baptist (born 1944). With his club Beveren he climbed from the third division to the highest level in two seasons. That first year at the top wasn’t a big success: Jean-Baptist only played eight matches and ended his career one year later, just 25 years old. After him, Antoine took over. 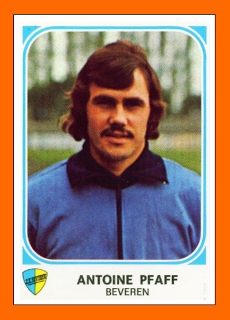 Antoine was born in 1952 and played for Beveren from 1970 until 1980, with the exception of a short period at St. Niklaas. He managed to collect 99 matches at the highest level with Beveren. The youngest brother was Danny (born 1958). He was a good defender and enjoyed some great successes at Beveren. He won the Belgian cup in 1983 and was crowned champion in 1984. Jean-Marie, who won the title with Beveren in 1979, had already left for Bayern Munich in those years. 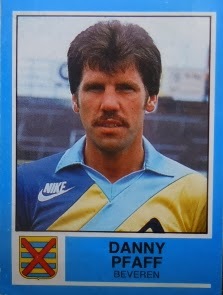 In 1985, Danny was voted Player of the Year at Beveren. Eight years older brother: Karl-Heinz Rummenigge (three World Cups, two times runner-up, 95 caps with 45 goals). After a flying start as a youngster (already a German international at 19 years old), Michael seemed unable to cope with expectations at his club Bayern Munich. It wasn’t until his mid twenties, at Borussia Dortmund, that he snapped out of it. 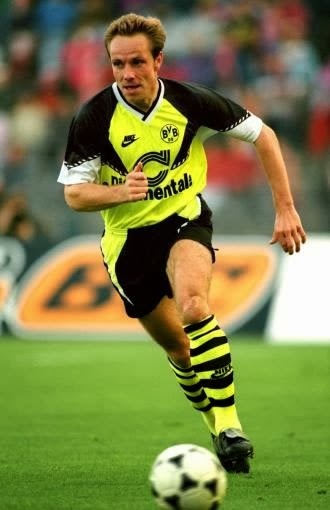 In Dortmund he became the crowd’s favorite as a hard working midfielder with a great mentality. An adventure in Japan wasn’t successful and a major injury forced him to quit the game at the age of thirty. After that Michale became a businessman and, among other businesses founded the Fussballschule Michael Rummenigge. If you look at the soccer career of Dieter Seeler it’s fair to say that he was terribly unlucky. After years of good performances for his club Hamburger SV, he was about to make his debut for the German national team against Yugoslavia late 1959, when he broke his arm. He never got a second chance. He did manage to win the German title as captain of Hamburger SV in 1960, and also won the Cup in 1963. In between, HSV played the semi-final of the European Cup 1961, against Barcelona. After the first match, Dieter broke his shin in an Oberliga-match three days later, thereby missing the second match, and the play-off match. With Dieter, HSV would have won, Uwe always said. Dieter passed away in 1979, only 47 years old.